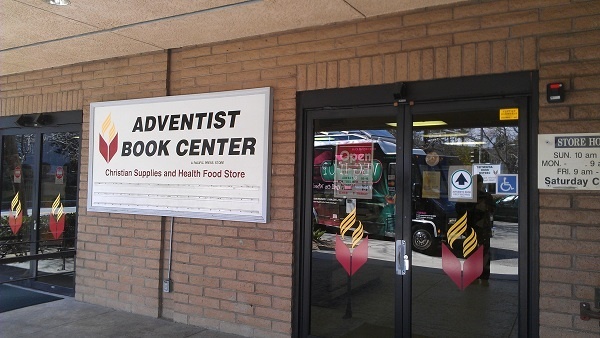 Adventist Book Center (ABC) outlets around the world have made the controversial decision to start selling animal meat as a result of a new study released this month by Loma Linda University-based researchers. The study looked at the long-term effects of various forms of vegetarian meat substitutes on the human body. Researchers found that only 10% of the meat substitutes in the supposed health food market had better long-term effects on the human body than the meat they replaced. In 90% of cases the substitutes were far more detrimental than meat. "Our results obviously varied from product to product but the results are clear," said lead researcher Doug Osterkamp. "Veggie meat vendors are selling us sodium-laden, unconscionably fatty, cardboard-tasting products that are killing us faster than the meat they claim to replace." "The evidence against veggie meat products is too strong to ignore," said Verena Lim, spokesperson for the Association of Adventist Book Centers. "ABC stores are committed to selling the healthiest food available and it is for that reason that we will be selling meat until we are satisfied that the veggie meat industry has changed its ways." The ABC decision has sent shockwaves throughout Adventism. Chapters of "I Told You So," an Adventist meat advocacy group, have opened shop in Adventist colleges around the world, with bets being placed on which institution will be the first "to fall" by serving meat in its cafeteria. Say it ain’t so!! Is this the answer to keep from closing of some ABC’s across the USA to “beef” up business? Will the meat be GMO free? Gluten free? Sugar free? Cage free? Kosher? OU endorsed? Available at the GC in Texas where meat is important to the economy? Woe is me!! You can relax. It will be Hallal. While this is obviously satire, I can tell you that living in Berrien Springs, my wife and I have taken to eating occasional fish (raw, in the form of sushi) instead of eating the gross, canned slop sold at Apple Valley markets. Have you looked at the USDA labels on these monsters? The ingredients list is a mile long on most of them, and the sodium content (to offset the lack of the savory flavor of meat) is through the roof. Most “health food” meat substitutes have over half a gram (500mg+) of sodium PER SERVING. And you know a serving size is so tiny that you’re going to end up eating 2 or 3, which means 1000-1500mg of sodium in a sitting. Woof! That’s almost literally a heart attack in a can. Loma Linda Links, I’m looking at you. Big Franks, you’re next on the list. And don’t get me started on Frank’s Chik’N and that gross looking fake turkey substitute. I think this is another area where we have gotten very legalistic as a denomination. Jesus and the disciples ate meat. Not a lot of it, because meat was expensive and hard to come by in Judaea, but when Jesus feeds the 5,000 and the 7,000? Yea, he does that with fish and bread. Don’t get me wrong, I am vegan 99% of the time. We have a little fish once in a while out of concerns for vitamin B12 deficiency. We don’t do eggs and milk, and certainly don’t eat unclean meats. But you realize that Ellen White was advocating vegetarianism at a time when there were ZERO safety standards for meat? When butchers didn’t even sterilize their blades between animals? Fast forward to a little something I like to call the 21st century, and at least in North America, we have food safety standards. It is unlawful and punishable by fines and imprisonment to sell rotten eggs, spoiled meat, or rancid milk. Again, I reiterate. Vegan 99% of the time here. I recognize that in heaven “none shall kill” in all God’s holy mountain. We’ll all frolic and cavort with Bambi and it will be awesome. But in the mean time, trying to be vegetarian by eating sodium-laced sludge is a fast track to heart disease. How does that lead to our “health shining forth like the noon” as God talks about in the blessings and curses of the OT? It doesn’t, that’s how. Nothing anywhere in the Bible tells us to be vegetarians. You may check with any Orthodox Rabbi who will explain to you that PRIOR to Noah’s flood, people were vegetarians. Only after the flood they started killing animals for food. The commandment, “Though shall not kill” applies to animals and every living creature. And yes animals have a soul. Putting a Label of “Hallal” or “Kosher” means nothing as the animal is being slaughtered to satisfy people’s greed for flesh. If we believe that God gave us the Health Message through E.G White, then why doubt its bindn claims for especially our age but primarily-Adventists? If that is true of faked meat,then if we were to be true and faithfull to the message that has held us unique a royal priestWood -Excluding of that “health food” meat and its products would be our only way. Yes Christ ate fish but is it the same as we have now? Yes God gave us meat to eat-but is it the same as that of Noahs age, are we extracting fats and draining the blood?Our industries have no such time and funds to indulge in such a process that would render their products versatile,tasteless and void? God had it right first time. Plant based diet is the original diet given to man by our Creator. It consists of fruits , grains, nuts, seeds and vegetables. And, raw foods at that. There was no stove in the Garden of Eden. There was no killing of animals either. Man lived up to 900 years, and even beyond in some cases, on that diet. You don’t have to eat meat analogs if you don’t want too. Physiologically, man is not design to eat meat. You can research that for yourself.